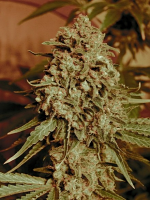 Critical Cheese Auto Feminized Marijuana Seeds by Dinafem Seeds: Crossing the most productive autoflowering with the strongest possible flavor was a matter of time. Critical+ as well as Cheese owe their origin to Skunk genetics, which is synonymous of high production, fast flowering and intense flavor. Therefore, Dinafem decided it would be interesting to try to combine both genetics. Indeed, Cheese Autoflowering has enhanced more, if that was possible, the intense Skunk flavor of the Critical+ Autoflowering, while maintaining the high production, abundant resin and rock hard buds typical of the Critical+ Auto. Critical Cheese Autoflowering tastes sweet and intense, like her parents Critical + and Cheese. 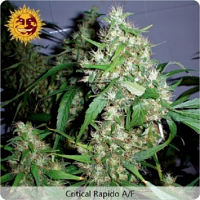 Has a very regular growth pattern, open structure and large internodes typical of Critical +. Buds are dense, big, full of resin, and in the final stage carbon filters must be used, as the smell can become uncontrollable. 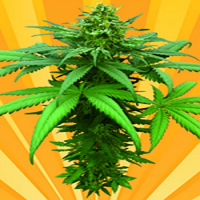 If you are looking for a high quality and intense flavor autoflowering marijuana, this is your choice. 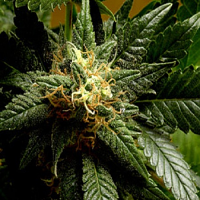 More than 1 meter tall and rock hard buds ensure a high level of production in just 10 weeks.